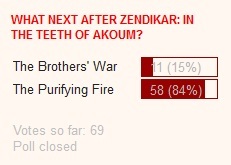 Here are the poll results for what to read post Zendikar: In the Teeth of Akoum. The Purifying Fire blew The Brothers' War out of the water! I was not expecting that considering that the two were fairly close last time, but I guess Zendikar and The Purifying Fire were splitting votes last time. I don't really know what to expect when it comes to these planeswalker novels since I've only read one, so I'm quite curious to find out. What next after The Pufifying Fire? Once again the first novel to kick off the saga of Urza, his legacy, Gerrard, and the Weatherlight. It's hard to imagine a book better than The Brothers' War. The fight between Urza and Mishra. It will be great returning to the book after such a long time. 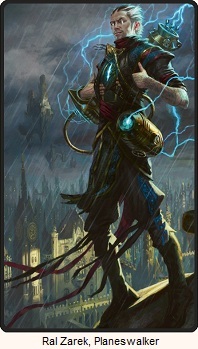 The third planeswalker novel, starring the quite forceful Tezzeret the Seeker. He was a wonderful villain in Agents of Artifice, masterful in his manipulation and recruitment Jace, and quite a focused and passionate character. I wonder how my view of him will change and/or be reinforced by reading a book with him as the protagonist. Vote in the poll to the right. Voting ends in three weeks. November 12th. 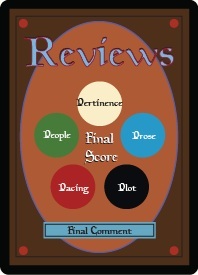 Hehe you can tell we only voted for Purifying Fire so that you'd read Test of Metal.